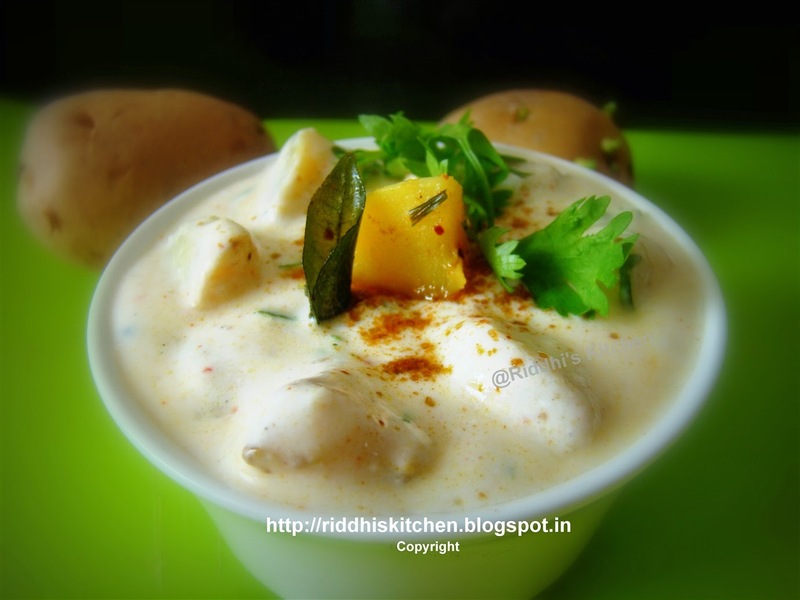 Take one bowl, add curd, salt, cumin powder, pepper powder and mix well. Add chopped potatoes and some coriander leaves. Heat oil in kadai, add mustard seeds and let them spullter. Add hing, curry leaves, green chilly and mix well.pour this tempering over raita and mix well. Garnish with fresh coriander spring, sprinkle cumin powder and serve it. You can serve it chilled.